Welcome to the another article about Xiaomi Redmi Mi PC suite, in this article you can download Mi PC suite for Windows to manage your phone for various purpose, using the Xiaomi PC suite you can do flashing the phone or update the phone using the PC Internet, which is the official way and you can also backup and restore the phone's data, manage you files in your phone on your Computer and finally you can also unlock Mi cloud account using this Redmi PC Suite and this Mi account unlock process is fully official. All USB Driver For Your Mi Phones Download Here. MIUI 9 Mi Unlock Solutions. Redmi 5A Mi Account Unlock Solution Free. How To Use Mi PC Suite? Open the Mi PC Suite and connect the Mi phone to your Windows PC. Now it will automatically install all required USB driver for you. Now you can see the phone within the PC Suite. What You Can Do With The Mi PC Suite? You can share the Internet. Manage your photos and videos. Backup and Restore all data of the phone. Update the Mi phone to latest MIUI. Unlock Mi Account using official Method. Backup and Restore Contacts, Messages, Photos, Videos and Apps etc. Good news for all MIUI users, here you can download latest Mi PC suite for the Windows PC. 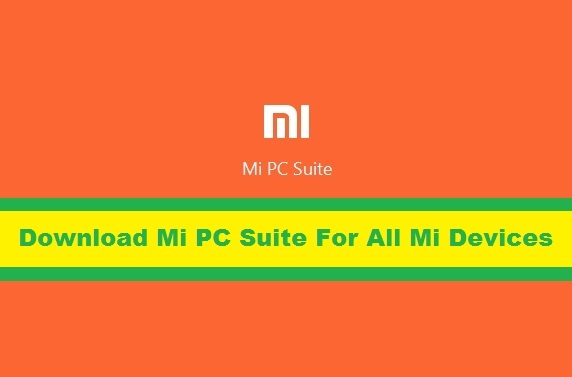 The issue about Mi PC suite has been solved after releasing the new updated version of Mi PC suite, absolutely the Mi PC suite not connected to the devices is solved in the latest version of Mi PC Suite (Version 3.2.1.3111). Note: Android 6.0 Marshmallow devices is not supported in this version of Mi PC Suite. Download the new Mi PC Suite from the link below. So here you can download the latest version of Mi PC Suite for Windows to manage the phone on your Windows Computer and we are happy to share this article with you, if you are a Mi phone user then this topic is very useful to you.